Spend some quality time together being pampered like models! 2nd or 3rd Daughters can be added when booking. 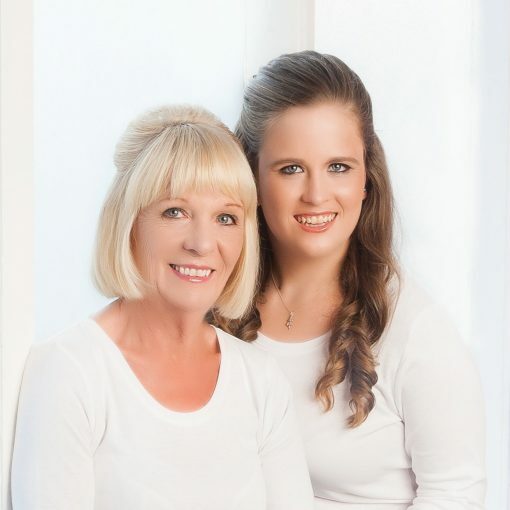 The Mother and Daughter Makeover is a great treat for Mum! Allowing Mother and daughter to spend some quality time together while being pampered like models and having those moments captured on camera. Our expert make-up artists and hair stylist will primp and preen you to perfection. It will then be time for Mum and daughter to step into the studio to enjoy their photo-shoot together. We are very proud and open about our competitive prices. Our products are listed on our prices page.